TGIF and Happy Valentine’s Day Team Stryker fans! 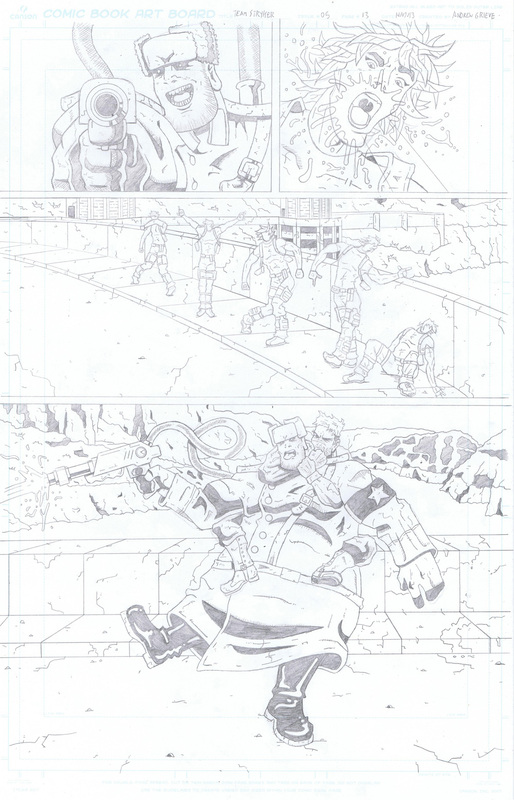 I hope you all enjoyed page 13 as it was probably one of my favorite pages to draw of the entire issue. Casanova is a natural extension of myself so whenever I get to draw him doing crazy things I feel like I’m living through him. I want to make sure each member in TS has their moment to shine and I never want to pick favorites since they are very different characters (including the villains). This weekend in a long weekend up here in snowy Canada so there won’t be an update on Monday, but Team Stryker will be back on February 24th!